The Centre of Excellence established in 2018 at SISTER NIVEDITA UNIVERSITY aims at fuelling the principal ambitions of the student. The entity nurtures and builds the aspiration to achieve. Along with developing innovative thinking to face the challenges of an increasingly dynamic commercial world, the students are provided best practices, support and training to revitalize the existing skills beyond academics. Apart from an advanced industry-ready curriculum at SNU, the Centre of Excellence plays an additional role in improving expertise and knowledge through co-scholastic activities for the overall organizational development. With an aim to drive growth towards an entrepreneurial dimension the Centre of Innovation at SNU offers dynamic programmes, promoting ‘no-boundary’ theory through technological brilliance. The Centre fosters a system that’d connect research with application. SNU’s objective is to carry out multi pronged operations with efficacy through this establishment. Inspired by the teachings of Swami Vivekananda on Yoga and Spiritual lore SNU has come up with the centre to contribute to peace, harmony, poise and health. Students will receive training for life and character building. The centre is essentially envisioned to long term rehabilitation, and to promote good, positive health. Meditation, Yoga, and free-hand exercises are taught to the students by a professional trainer at the Yoga Centre. For self defence is of utmost importance in the kind of world we live in. 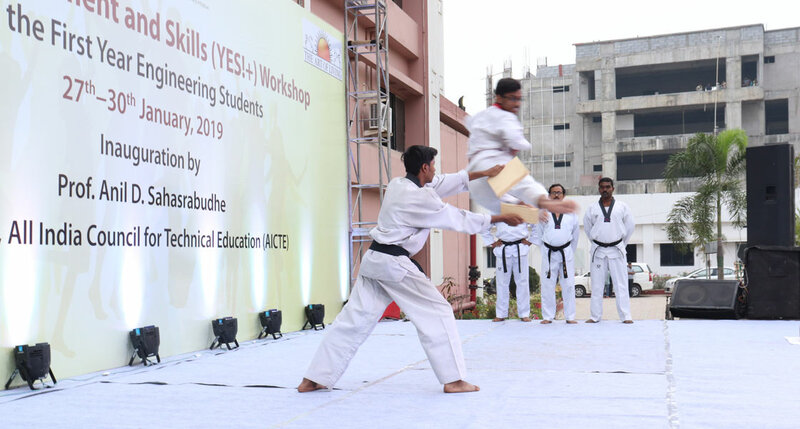 To provide the best physical fitness and specific self defence skill to the students, SNU has come up with the Taekwondo Cell. The students are taught the finest techniques of a Korean martial art form, Taekwondo. This shall help the students to be prepared mentally and physically in every situation, boost their confidence, and strengthens all the aspects of fitness. SNU has established a start-up village, an incubator that’ll accelerate the probability of turning entrepreneurship skills, and business ideas of prospective students into reality. It’s an exclusive platform for the start-up companies to train and develop students, and up-skill them for the challenges in the contemporary market. The start-up will be supported financially by Sister Nivedita University, Venture Capitalists, and also by Angel Investors. Interestingly, the students will be receiving special guidance from experts, and mentors personally supported by business Summons, to successfully roll out a new product. SNU’s primary aim is to drive business to make a lasting impact by learning from the pros across the globe!